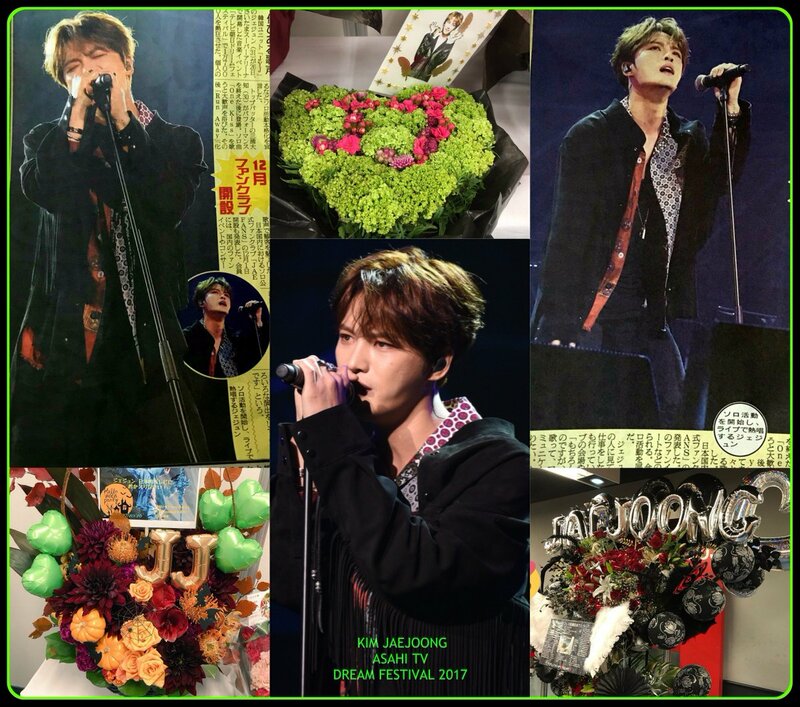 Awesome to see all the support for Jaejoong. I don’t think Jaejoong would join Johnny’s for anything, not after escaping sm. Well, if he did, there would go a very significant chunk of The Money (from all sources, music and his business interests) the independence, the artistic freedom… As frustrated as he still is about continuing to be blocked, especially as it applies to the newer generations of K-pop fans, I’d be VERY surprised if he handed over the elements of his career that he does enjoy to another “My Way Or The Highway” outfit like Johnny’s. Exactly! Not to mention all the nasty rumors I’ve heard about Johnny’s. & they are super strict & controlling of their idols private lives as well. I know nothing about Johnny’s but I know that Jaejoong knows how to calculate his risks. If Johnny’s can open up for him the vast market of Japan and give him access to major TV statiions, thus exposing him to new audience (in addition to an already aging one) a short-term contract of 2 years may have its benefits. Popular as he is in Japan, the duo may be even more popular and most Japanese today know of Tohoshinki because of their old fame as 5, not even knowing that these ones are just the remnats of the original legendary group. We have said in the past that JYJ need a powerful agent in Japan that can stand up to SME. If Johnny is that powerful agent that will bring JJ to a level ground with SM singers then why not? I have the feeling that Jaejoong is not that hungry for monetary benefirs alone but, rather, seeks recognition. His business are also of such nature that they depend a lot on his popularity. I am not saying he should sign with them but if he does take a short term contract for Japan, I’ll understand why he did it. I feel like Jaejoong in particular worries about losing fans because of sm & avexs blocking, but joining the same kind of hell hole agency he is still trying to escape from is not the answer. Especially not one that is notorious for sexually abusing minors, encouraging under age drinking in their juniors, ties to the Yakuza mafia, drug fuelled orgies & such restrictive control over their artists private lives that the only reason Jin Akinishi, at the age of 28, was allowed to marry Meisa Kuroki was because she was pregnant. Johnny’s is one of the most powerful agencies in Japan, if not the most powerful, but that power comes from a lot of shady connections, shady money, shady deals, & a lot of abusive control over their artists. I wouldn’t wish that on my worst enemy let alone someone I love as much as I love Jaejoong. & I seriously doubt Jaejoong would sell his soul for more recognition/popularity or money. That was the whole reason why JYJ walked away from sm & at the height of TVXQ’s fame, because they weren’t willing to sell their souls for fame, success & money at the expense of their happiness, freedom & integrity. If Jaejoong were to join Johnny’s even short-term, I would be shocked & seriously worried for him, but as I’ve always said, it’s his life & his right to make what he believes are the best choices for him, & I would continue to love & support him. I know none of us know him personally, but we all have our own perception of him & I honestly don’t believe Jaejoong would or could overlook the corrupt, abusive cesspit that is Johnny’s just to further his own fame or finances. Please don't post and share any photos and vids except official one for his JP solo activities 🙂 thank you. Photos used in my collage are all press released, so I think it’s okay. Hope they really came in an agreement! Maybe, as you say we hope for the best..i guessed that’s the thing he was working it out so hard,..knowing him, the way his sincerity and how he shows his love to us (fans)..whatever which way to make him more visible in Japanese market, i’ll support him all the way. I trust JJ and like you I’ll support him all the way whatever way he takes. Yes we do @kris..and i feel like huggng JJ right now, just read on my T-line that’s he’s going have his Japanese album in 2018( info Josei Seven magazine ). i’m so happy..future looks brighter.